The aim – to ensure that project implementation is achieved in timely manner with expected results. WP2 – activation, adoption and upgrading of existing components of production line at BL facility as well as of GRP which are needed to produce the innovative product at certain market quality. The aim – upgrading existing facilities of SMEs to establish modern, automatic and sustainable production concept capable of production of marketable RUCONBAR. WP3- prototype optimisation and quality to achieve a product of certified and continuous quality. 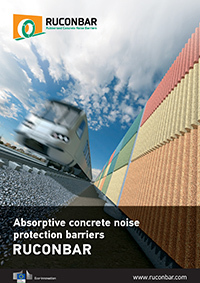 The aim – to produce optimised and certificated noise production barrier RUCONBAR with international quality ready for market uptake in infrastructures and urban areas. WP4 – develops a business and marketing strategy needed for commercialisation of the product in Croatia and transferability and replication of the RUCONBAR concept in other European countries. WP6 – dissemination activities that are aimed towards target groups, key actors and scientific and expert community.